Day 2 of 12 Stylish Days of Gift Guides is here and today we are focusing on gifts for that tech obsessed person in your life. Let's just say this person is the first to know about every new tech gadget and is always sporting the latest item. I have like 12 people in my life who match this description perfectly, so this Gift Guide is the best! 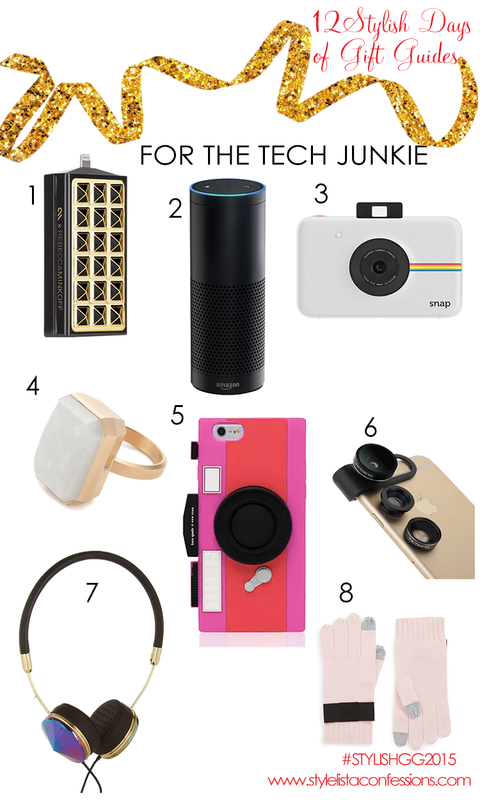 I have rounded up the best items for the tech junkie in your life! I included items both high and low priced so you have many options! From a person to talk to in your home to a ring that lets you know you have a notification on your phone, this list includes all the must haves!